Earlier this year, my health gave out in a big way. All I could do was sleep, my muscles hurt so badly that I couldn’t even do gentle yoga (the thing that kept me grounded), and I was steadily gaining weight, despite eating healthier and moving more regularly than ever before. Looking back on it, I had so many signs my body was going to give out before it happened…but I just kept pushing through. 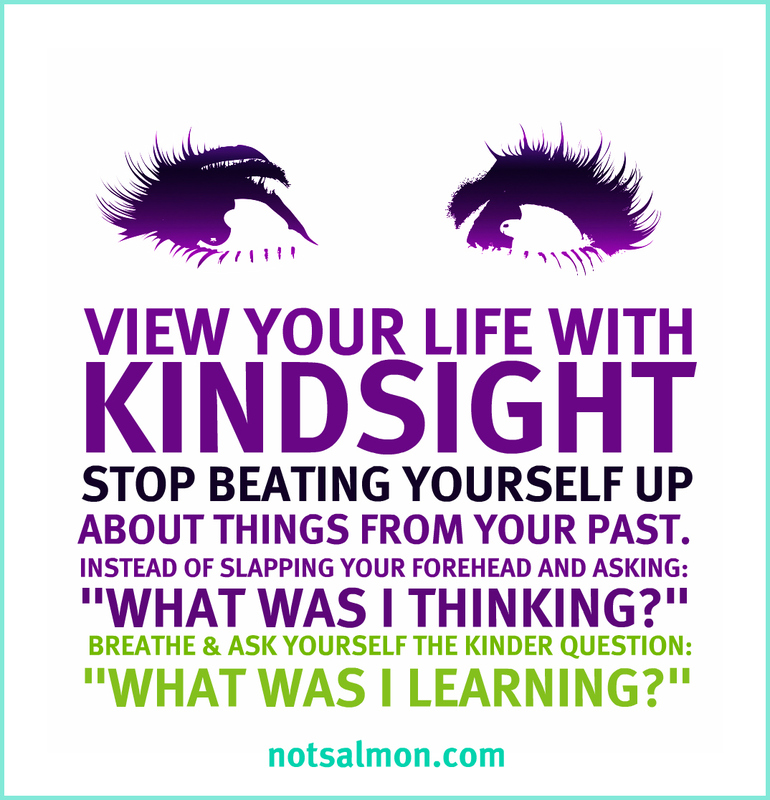 #1: Remember that you don’t know what you don’t know (until you do) – One of my favorite quotes is “hindsight vision is always 20/20”, meaning…you always know how you would have acted differently after the fact. But we forget that the experience is what taught us how we’d prefer to act. That experience is how we decide to do things differently in the future, and that’s why it’s so important not to beat ourselves up over it. It just keeps us stuck in the past instead of moving on to a better future. Not taking care of my body taught me what I needed to do in the future based on what happened when I didn’t. If I didn’t have that experience, I probably wouldn’t have learned to take care of myself like I’m supposed to. #2: Take stock of the lessons you’ve learned – While it may be easy to beat yourself up over what you should have done, you can use this opportunity to reflect on how much you’ve grown since before you had this experience. What was your mindset prior to it? What lessons did you learn? What do you now know as a result of the “bad” thing happening? Although it was super hard to ask myself these questions initially, after some time, it started getting easier. I realized that it taught me how important taking care of myself was, how I can’t help anybody until I help myself, and how borrowing off tomorrow’s life force (and adrenaline) can’t be a long-term strategy for success. #3: Know that some days will be easier than others – I have found that some days it’s easier to feel self-forgiving than others, especially when my body is having a weak day. It’s easy to get frustrated with yourself all over again on those off days, but use it as an opportunity to review the lessons you learned and strengthened your resolve after honoring how you feel. The more quickly you forgive yourself, the easier it’s going to be to let go of your current circumstances. Be gentle on yourself when you’re having an off day, and know that the cycle of self-forgiveness isn’t always a straight shot. Also know that how you feel isn’t permanent and you can wake up feeling completely differently tomorrow (or the next day). Forgiving yourself can be very hard, especially if you have a tendency to be hard on yourself. But using these tips are a great way to open yourself up to self-forgiveness. In the comments below, I’d love for you to share a time where you “messed up” and had to forgive yourself. What worked for you to help you do so?